I picked up this leather look skirt from H&M about three years ago, I wore it a few times and then it sat gathering dust in my wardrobe, with me rarely feeling like I was confident enough to pull it off. 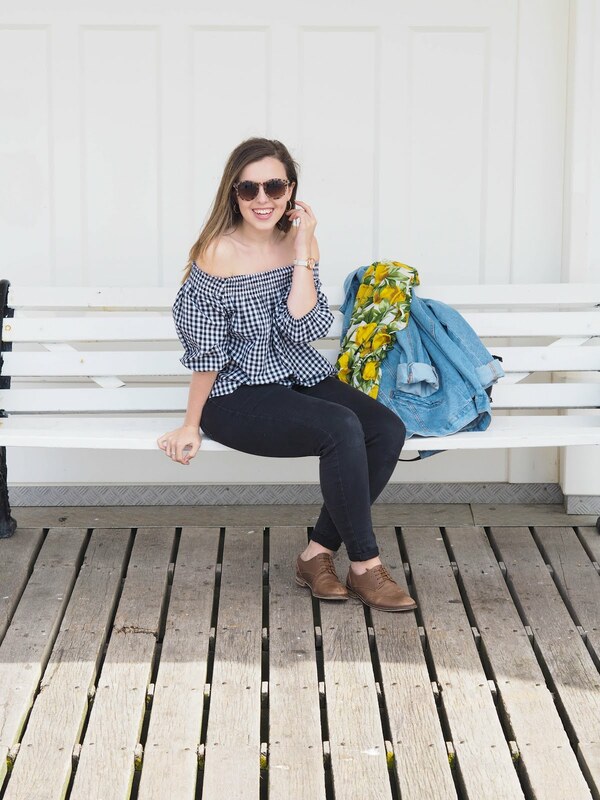 With the pinch of the purse strings in January, I haven't really had the funds to update my wardrobe with new pieces so I've tried to re-work some of the items that have gone a little unnoticed, but I've not got rid of just incase I want to wear them 'one day' (I'm sure we've all done that one). Starting with this skirt. I spent last sunny Sunday wandering around Spitalfields market, all wrapped warm with this outfit under my coat and oversized scarf. Despite it being a rather casual day, I felt like I wanted to step out of my comfort zone and pair the skirt with something I wouldn't usually think to wear it with. I went for this black and white 60's style jumper, black boots with a rose gold heel and silver hoop earrings, I felt cool, sophisticated without feeling over-dressed. 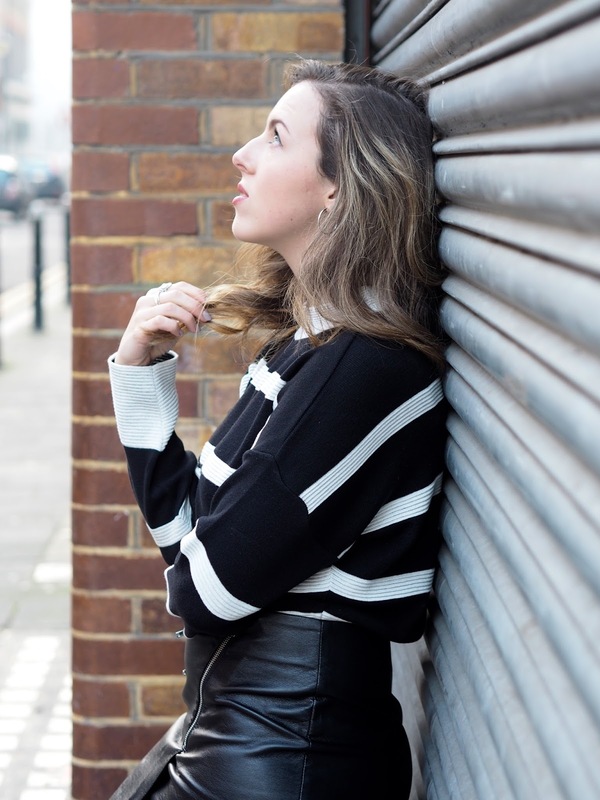 I'd recently picked up the jumper, a steal at £10 from Primark, thick black and white stripes, wide sleeves and a high neck, it just felt like the perfect casual jumper to pair the skirt with. I feel so happy I decided to bite the bullet and wear this skirt, it's making its way to be a firm favourite in my wardrobe and I'm thinking of so many different ways I can style it, to dress it up or down. It's definitely made me think about ways I can style up the items that are longing for a bit of loving in my wardrobe! Have you got items you could save from the depths of your wardrobe? !